Preliminary ProceduresRemove the battery tray. 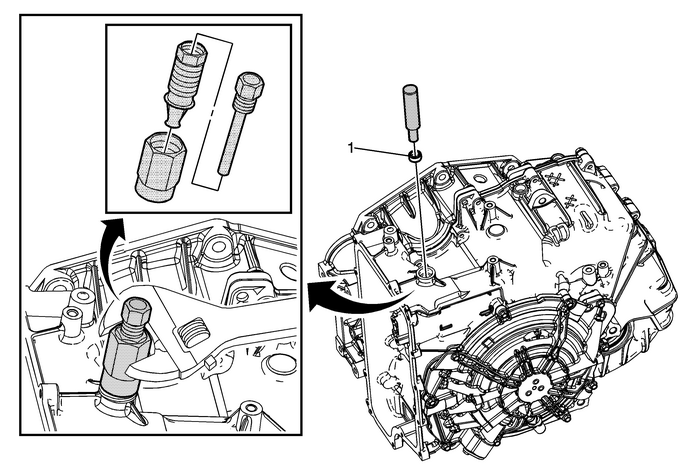 Refer toBattery Tray Replacement.Remove the manual shaft and position switch assembly. RefertoManual Shift Detent Lever with Shaft Position Switch Assembly Replacement.